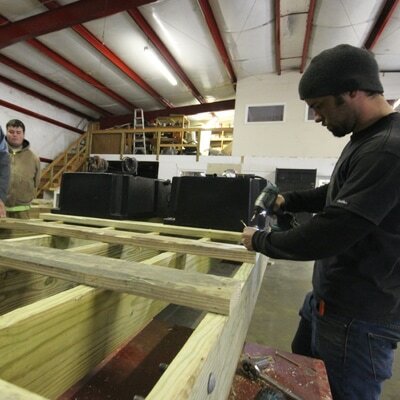 New Jersey's premier marine construction company offering high quality floating docks, drive-on waverunner ports, custom dock systems, boatlifts, bulkhead/seawall installation and repair, pile driving, and waterfront construction. We proudly serve Atlantic County, Cape May County, the Barrier Islands and beyond. Call us, or stop by our office for an estimate. Dock Connection carries the full line of PolyDock Products floating docks and drive-on PWC ports. You now have more choices when it comes to premium, modular floating dock systems in New Jersey. We can design and install your new PolyDock floater today. We have PolyDock Products in stock and on display at our Ocean View location. PolyDock Products are perfect for a wide range of waterfront applications from residential to commercial marinas, camps, campgrounds, and resorts in New Jersey and beyond. ​Dock Connection, LLC is your authorized PolyDock Products retailer. 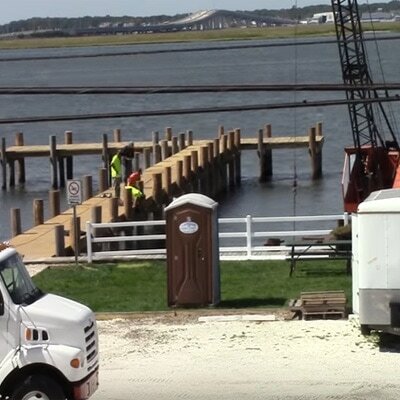 Dock Connection, LLC is a Walters Brothers Company specializing in waterfront development, seawall and bulkhead installation and repair, dock building and pile driving. Our experience in working with the New Jersey Department of Environmental Protection (NJ DEP) for new or existing dock and boat lift service and installation, bulkhead installation or repair, Pile driving, or waterfront development is unmatched. We work with all permitting agencies to ensure that your New Jersey waterfront equipment is installed quickly, affordably, and legally. Our competitors may not be licensed or insured to perform these services which can cost you both time and money when you need to make adjustments to work that was not installed properly. Discover an easier way to load and launch your kayak right from the dock. The Kayak Launch from PolyDock Products makes your adventures easy to begin and end. Get the latest New Jersey waterfront construction news and see some of our most recent work and dock installations.